Ever wonder why American Matt Kuchar is one of the world’s most popular players? Then go take a look at a replay of the British Open and how he handled himself throughout a dramatic final day. 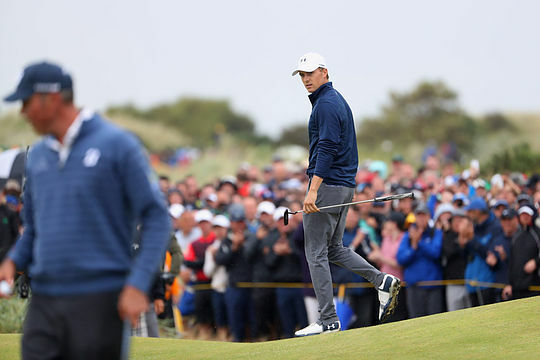 A final round that saw Kuchar lead by a shot from Jordan Spieth with just five holes to play. ‘Kooch’ then played the next four holes in two-under-par and still lost ground and was actually two behind by the time he reached the 72nd hole of the Open. Yes, it was cruel but nobody in professional golf could probably have handled it better than Kuchar did. He’s a man of class and probably needed every ounce of it as he faced his family that had flown in at the last minute to watch their hero hopefully win his first major title. “That was really, really sweet for them to be there,” said Kuchar. “I did my best,” he said. “I tried my hardest and it didn’t work out.